at school with the children!! Let’s hope having the extra week off due to “Irene” will have settled them a little bit and that they are ready to start learning once again! 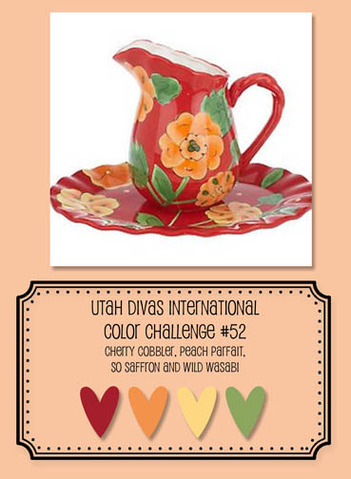 I am happy to be back into the swing of my posts and happy to share this week’s color challenge! Please play along! I’d love to see what you create using our colors of the week! So here is my project for this week’s color challenge! I created it for my good friend Lucy. For those of you that don’t know her, she and I work together; therefore, it is her first day at school too! The colorful autumn leaves are from the new stamp set called Gently Falling. It can be found in the new Holiday Mini Catalog! The greeting, “have a wonderful week”, is from the set Sweetly Said which can be found in the idea book & catalog! I wish all of you a wonderful week too!